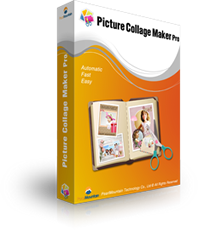 The most easy-to-use and automatic collage maker that helps to turn your digital photos into amazing photo collages with just a few of clicks. 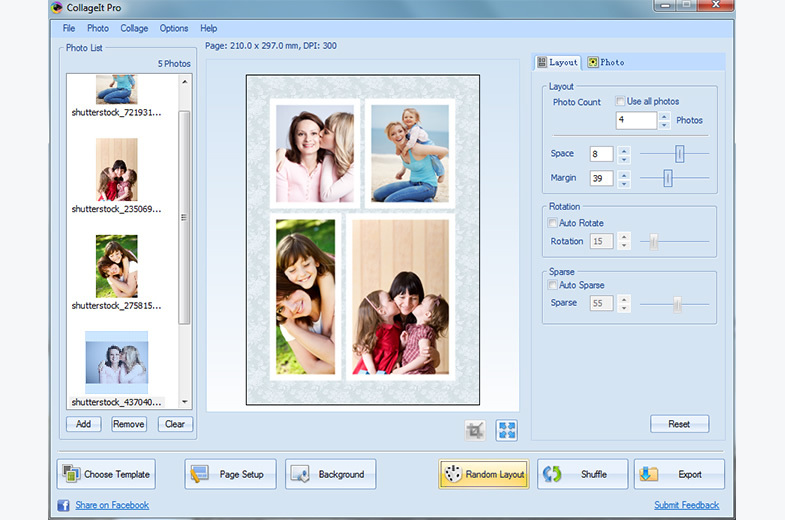 With only three steps, you’ll make a photo collage automatically. Easy enough for users of all experienced levels. WYSIWYG- Real-time preview with a super high speed. 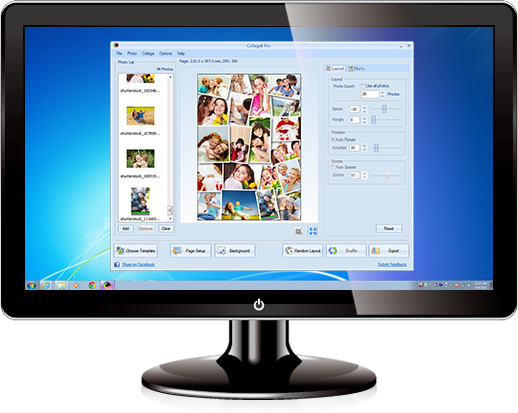 Large photo capacity allows you to make a collage from up to 200 photos. Diverse type of collages can be created and the collage size can be reached to A1 or even larger. 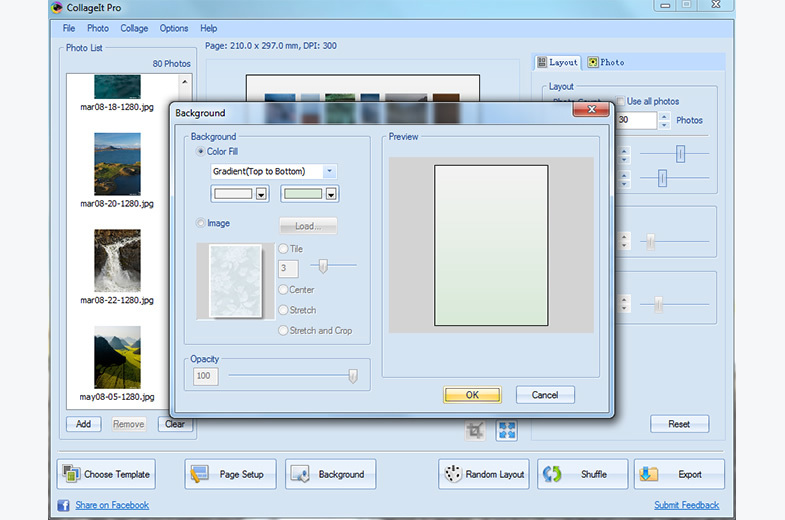 Choose the collage layout with various collage templates or just create one from blank. 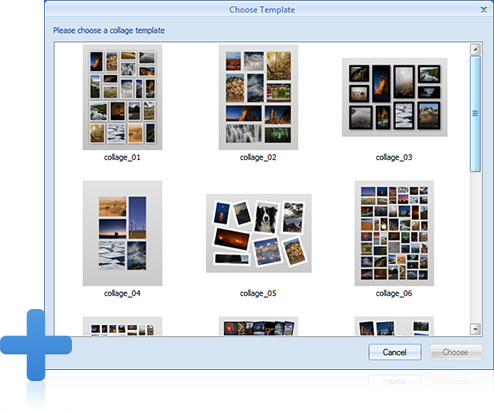 Many kinds of pre-designed templates included in this collage generator, you can select a style at will. The templates cover almost all kinds of styles of collage layout. 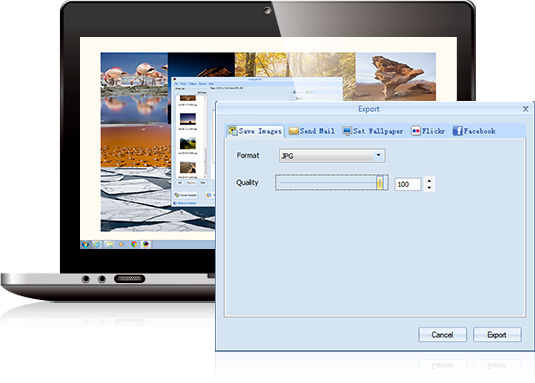 Customize the page size and collage background to suit your needs. 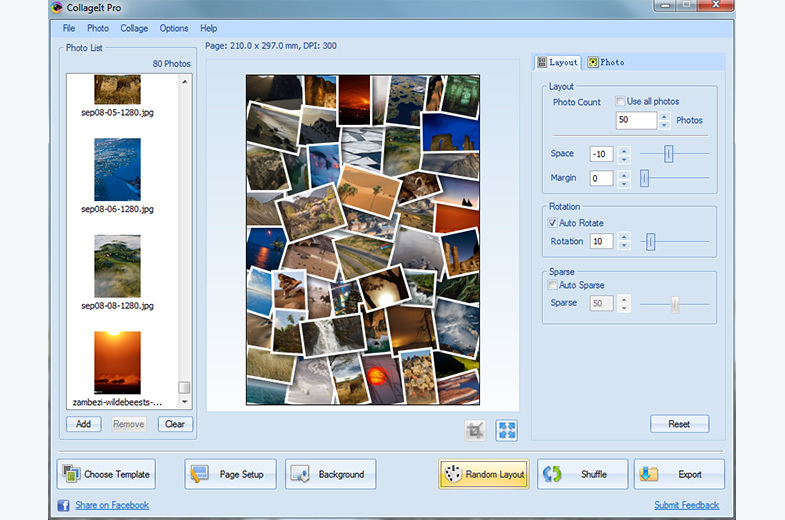 Easily customize the collage layout with variable parameters like photo count, photo space, page margin, rotation and sparse. Photo frame and shadow added for decoration. 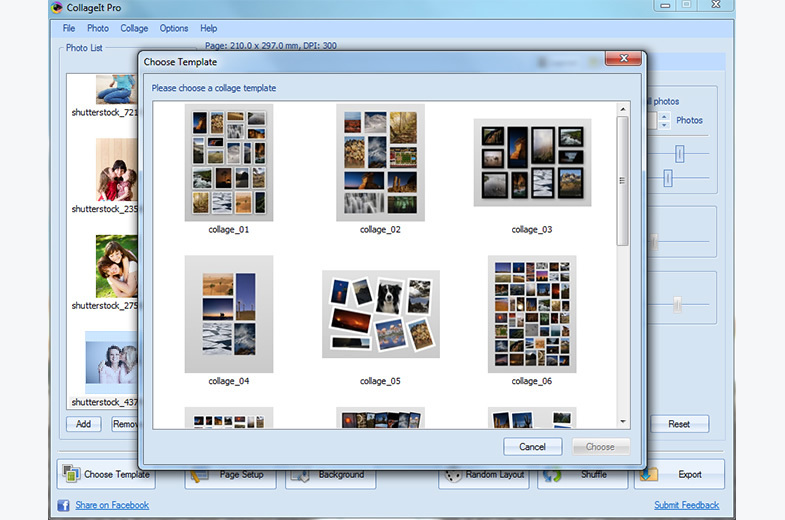 Crop photo is available so that the photos in the collage can fit well into the chosen collage space. 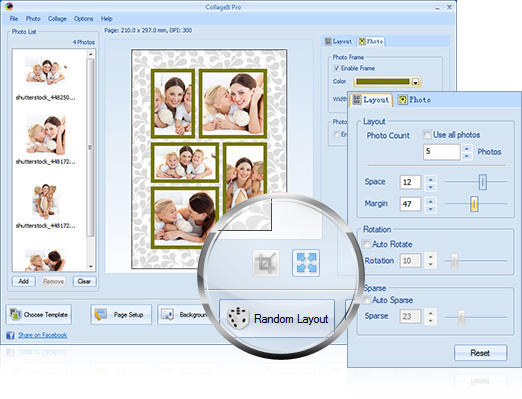 Various collage layouts can be continuously generated using the Random Layout function. Save the collage as JPEG, PNG, PDF, PSD, etc. 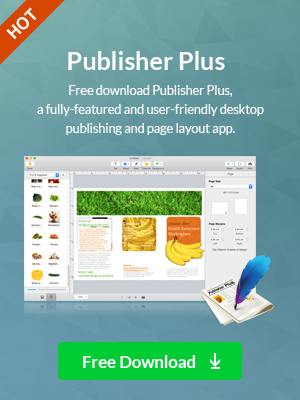 image formats and print it out. Send your collage to family members and friends via Email. Share the beautiful collage on Flickr and Facebook.